As a TAFE teacher, this time of the year poses a threat to a love-hate relationship I have with technology. The ‘can’t-live-without-it’ regime of keyboard thrashing, internet hashing and hash tagging. It’s a hard one to shift but after a month an a half of school holidays and a self-imposed ban on Mac, iPad and iPhone .. some good has come. After several home maintanence jobs, finishing a novel abandoned months ago, and sitting with my ideas .. the creative juices have begun to flow freely again and the commonly known love-hate relationship with all things technology has dissapted. Instead of psycho-mania causing reading of bits and pieces of design books, sporadic web articles and snippets of tweets, creativity and ideas have surfaced! 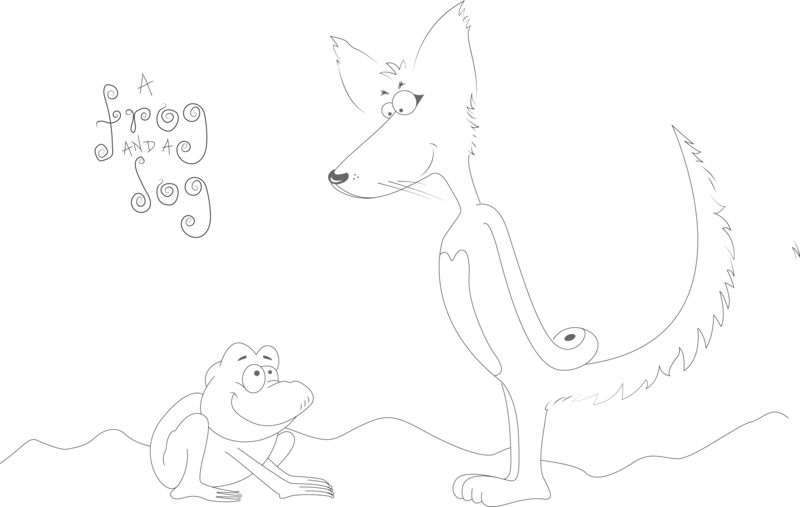 It is a story about an unhappy dog who meets a guru-type frog who helps the dog to become happy again. A bit of a familiar story but one that never goes astray [pun intended]. 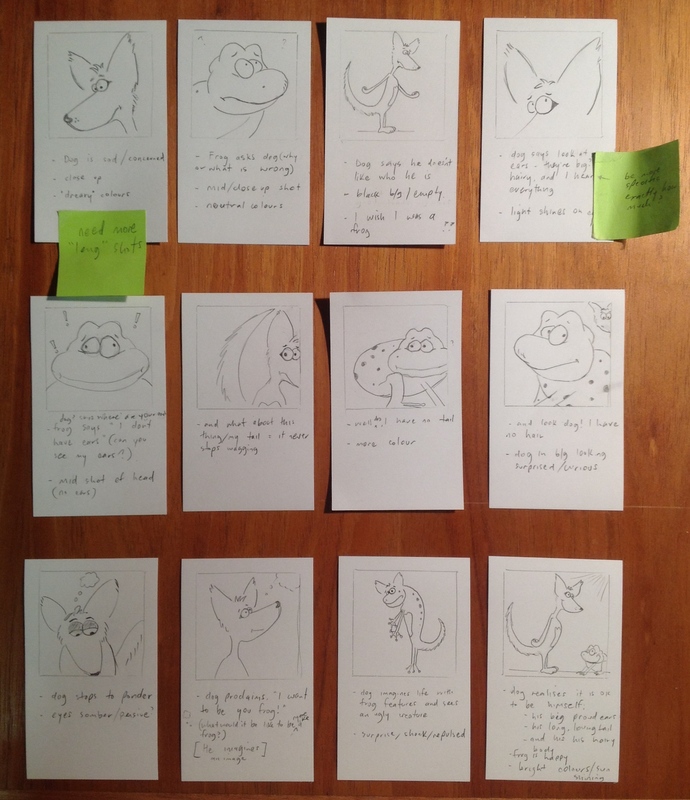 A story board has been written for the book and the next steps will be to nut out the details of each page within the book. Given that I often start projects but rarely finished them [unless someone with greater authority over sees them and is there to give me a gentle rearend nudge], it is hoped that publishing the progress of the book on the web will bring about a renewed urgency for project completion. Therefore, any comments for inspiration to attain this are more than welcome. I hope you enjoy the progress of A frog and a dog. 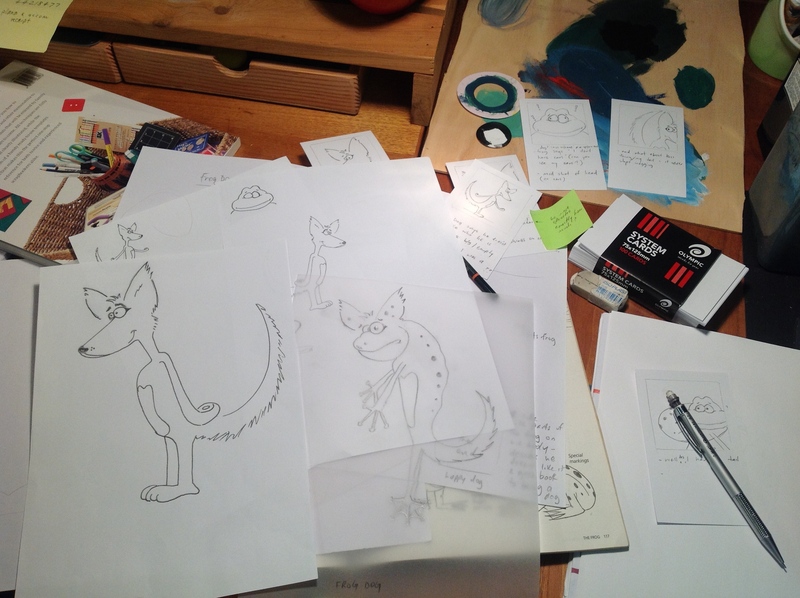 The images shown above have been created and drawn by Luise Grice and are the property of Luise Grice.